1. 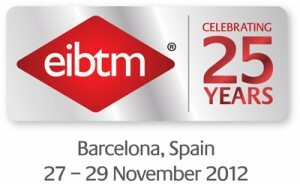 This year is 25th anniversary of EIBTM, the Global Meetings, Events, Incentives and Business Travel Exhibition. Do you have some plans for celebration? Yes we do and for starters we have launched a new EIBTM logo – just for the occasion. The new logo has been designed to reflect the official “silver” associated with a 25th anniversary and to mark the first of many new initiatives which we plan to announce throughout the year, on the run up to the show. You can view and download our new logo by visiting the EIBTM website at www.eibtm.com/logo25. More information regarding plans for EIBTM 25 will be released over the coming months. In the mean time we are inviting everyone who has attended or is planning on participating in the show this year to celebrate 25 years of innovation with us by sharing photos, videos, memories and messages on the EIBTM Facebook page www.facebook.com/eibtmevent or by e-mail to eibtm-marketing@reedexpo.co.uk. 2. 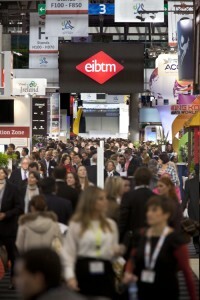 EIBTM statistics in 2011, shows that 57% of Hosted Buyers indicated that they organise business travel. This year the fair will extend the show profile beyond the meetings and events industry to incorporate the world of business travel. Could you tell us what new show profile for business travel means for exhibitors? The incorporation of business travel to EIBTM is a logical extension to the current show profile as it will afford new possibilities and increased return on investment for those exhibitors already operating in this field as well as introducing new specialist buyers and suppliers to the event. Suppliers to the business travel industry who already exhibit at EIBTM will be aware of the many benefits of having one to one meetings with Hosted Buyers. The Hosted Buyer programme presents an unrivalled opportunity to receive a diary of pre-scheduled appointments and do business face to face with budget holders and decision makers. In 2011 over half of the Hosted Buyers who attended, indicated that they organise business travel, so for 2012 the Hosted Buyer profile has been extended to attract even more corporate travel buyers and incentive travel buyers with international business to place. We are also working in partnership with the Association of Corporate Travel Executives (ACTE) now, who serve and advance the business travel industry across the globe. ACTE will deliver cutting edge education content at EIBTM with a dedicated seminar stream focused on professional corporate travel management for all of those involved in the business travel industry. This education track will draw more Hosted Buyers from the business travel sector to attend, which will in turn deliver more opportunities for business travel suppliers exhibiting at EIBTM to meet with these buyers. “This collaboration is extremely timely, as business travel and meetings continue to converge. Face-to-face meetings are vital to business success and a healthy economy. Executives must travel to network and push forward initiatives. Through this partnership, ACTE is pleased to bring its unique level of knowledge, insight and expertise to Reed Travel Exhibitions, increasing educational deliverables to the meetings industry” said Ron DiLeo, ACTE Executive Director. In addition to this, exhibitors will also benefit from exposure to the business travel industry via the online directory and EIBTM website, pre-show campaigns to the industry and ACTE database of 60,000 global members, as well as being part of the global media campaign within the business travel, procurement and business travel mediums. 3. Do you expect more buyers for South and East Europe? 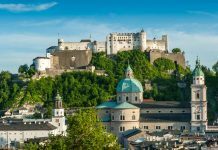 Southern and Eastern Europe has a lot to offer at country and city level and there has been a high demand from international buyers for business opportunities in these regions. Following on from post show analysis, the results confirmed that 63% of international buyers, who attended, placed business in Central/Eastern Europe and the Baltics as a direct result of attending the show and a further 51% placed business in South Europe following their participation. The buyers we accept onto the Hosted Buyer programme are recruited from across the world, ensuring that EIBTM remains the leading global event for the meetings industry. 4. The cover story for this issue of SEEbtm magazine is Client Satisfaction. 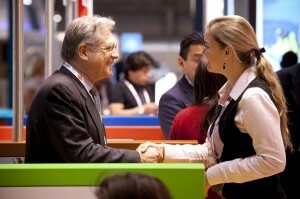 Could you quote some feed back from EIBTM’s exhibitors and Hosted Buyers? Last year we received great feedback from exhibitors who took part in the show. Below are some testimonials from a few of our exhibitors. “Thank you for your great job, assistance and care! From year to year the event becomes better and better. Our company has been participating at EIBTM for more than 10 years and would like to thank all your team for your excellent job!” – Katerina Bysteova, Saint Petersburg Express. “Although we are in a social network age, people still continue to come together for face-to-face meetings. Therefore these kind of fairs and shows will keep a very important place in the sector and we will continue to benefit from them” – Jano Kasal, Ankara International Congress and Exhibition Center, Turkey. “Excellent business experience in meeting with right people at right time for our future business” – Romana Vlasic, Dubrovnik Convention and Incentive Bureau. “This year there are lots of destinations that we are interested in. It is a great honour to be invited here and it is a very worthwhile trip in terms of business achieved” – U-Mice, China. 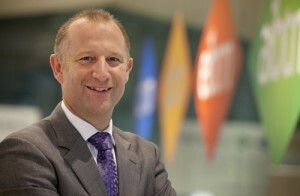 “Learning about the emerging markets from my point of view is one of the best things about EIBTM. It’s a fantastic opportunity to meet with old and new contacts – EIBTM provides one united platform to facilitate this.” – Rohit Jain, Bespoke Tours, India.